Muraspec wallcoverings were used at Felix Seafood Grill in Billericay, UK, designed by DesignLSM. Photography: James French. 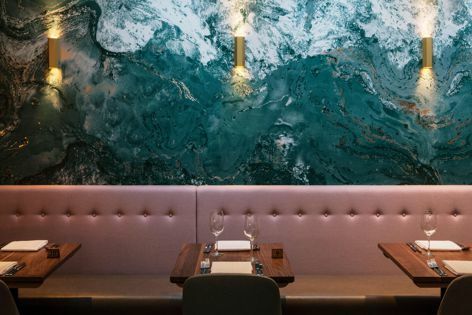 British commercial and bespoke wallcoverings company Muraspec is working in partnership with Vision Wallcoverings to bring luxurious, durable and safe wallcoverings to the Australian hospitality market.